In a follow up to our previous post detailing the proposal of House Bill 470 (HB 470), a bill allowing state agencies to accept cryptocurrencies as payments for taxes and other fees, New Hampshire is at it again – this time with a subcommittee on the Executive Departments and Administration Committee unanimously approving HB 470 with amendments. Now, the bill is set to go back to the full Executive Departments and Administration Committee for further vote. 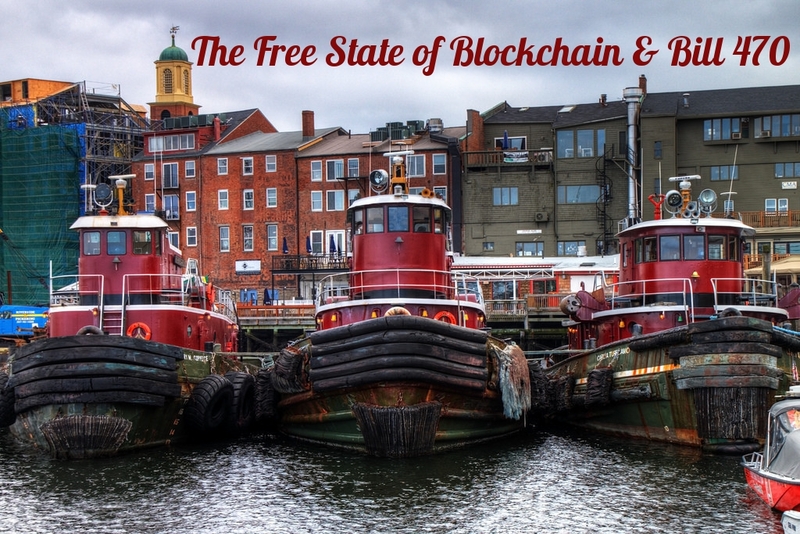 In the 21 minute video, New Hampshire representatives discussed the practical implementation of cryptocurrency payment processing for state agencies, and contemplated added protections for the Free State of Blockchain (ex. What to do if a transaction fails or is sent to the wrong address). There was general consensus that should crypto be implemented, market volatility should ultimately be placed on the user. Representative Jaci Grote posed the question, “I know we want to get ahead of the curve, but how far from the curve are we?” Noting that should New Hampshire implement crypto use in the mainstream, there still could be a significant wait time before seeing widespread use due to cryptocurrency and blockchain’s relative “infancy.” She did further on acknowledge that there’s clear signs of cryptocurrency and blockchain being an emerging market. One important takeaway from the vote by the New Hampshire subcommittee is that the nature of the discussion was much more technical than substantial – i.e. not geared towards changing the intent of Bill 470. Bill 470 is a follow-up to a 2015 cryptocurrency bill which ultimately never passed in the Live Free or Die state due to short form and a narrow scope – ex. The bill only proposed Bitcoin as the accepted cryptocurrency for Granite State taxpayers. HB 470, on the other hand, widens the scope, proposing the state look into any cryptocurrency which would be stable, transactionally cheap, and most compatible with a third-party payment processor. You can find the text of the bill over at https://legiscan.com/NH/sponsors/HB470/2019 or by checking out our recent post on the proposal. Note that should the bill pass, it would require the New Hampshire State Treasurer draft a game plan for crypto integration into payment systems by November 1st, 2019, and would not actually come into effect until July 2020. As of date of publish, the text of the formal amendments are not available. To watch the entire video, head on over to the FreeKeene YouTube page and check out the video here – https://www.youtube.com/watch?v=HIrDiPMx3aM&feature=youtu.be. Make sure to follow us on Medium (https://medium.com/@blockchainseo) or Twitter (https://twitter.com/BlockchainSeo) for the latest blockchain and crypto updates and news. If you have any topics you’d like to see us write about, feel free to reach out to us on Twitter, or on our website, to let us know!